"Hoverboard" is the terrible name given, thanks to the famous movie "Back to the Future" to a new device/vehicle still looking for its identity. It is also called "Self Balancing Scooter". The latter, even if uglier than the first one, better describe the working principles. In fact it is an electrical vehicle with two parallel wheels wich diameter may change from 4,5 to 10 inch. The most common model is the 6,5", the best compromise, under our point of view, is the 8". Still portable and perfect for different kind of ground. The main feature, the most innovative one, of these products is the ability to balance both scooter and rider on the two parallel wheels thanks to some gyroscopes. What's the best wheels diameter for my hoverboard? We think the 8" is the best one and we use that size for our CommuteBoard. The 4,5" is only for kids, the 10" one make the devise to big, bulky, heavy and not so easy to be carried along. The 6,5" got too many limitation on uneven ground, grass and more in general in no perfectly flat pavement. The 8" one with a high quality tire is the perfect choice and compromise. Delivering a long range battery pack, water-resistant electronics, advanced connectivity, high-torque custom motor and advanced material construction.But it here from our Kiwano friends. This is a very generic question to which we will try to give a specific answer. First of all let us invite you to read the page where we specifically talk about safety. So stated we can say a product like the Powerseed CommuteBoard is 100% safe as other products, using same quality component and care on manufacturing, may be. We do not have exclusive component, we only use the best available ones, we perform an optimal tuning and we assemble everything "by the book". Beware of a 200 EU or 200 USD Hoverboards, this isn't a believable price for a quality product and its trip from China to your house. Pay attention to every needed certifications, they must be real and issued from a trustworthy laboratory. 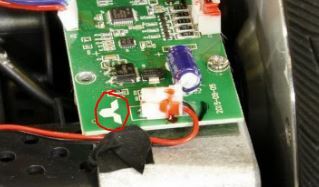 Look for UL certification in Charger and Batteries. The parts one Hoverboard is made of are few. Battery Pack, Control Board, Sensor Board (two), Wheels/Motors (2), Frame, Footsteps (2), Shell (4 elements, 2+2), External Charger. What is a TaoTao Board? TaoTao is the main and the best manufacturer of Control and Sensor Board. And so the most expensive one, but the differences from a Hoverboard equipped with Tao Tao and other equipped with cheap competitors boards are huge even, or maybe more, for unskilled users. 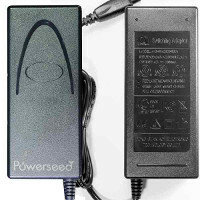 The Powerseed CommuteBoard uses only last generation Tao Tao boards. I'm a skilled "Surfer" will it be easy for me to ride it? This is classic a bit boring....and wrong. Being a surfer is a basically a good thing, but it won't help a lot the use of the Hoverboard. Or better, you do not need to be a surfer to use it. Just like you don't need to have excellent equilibrium skills. The Hoverboard will do the job and will take care of you. You are only asked to stay relaxed and as natural as possible. If you move too much trying to balance it would be like an interference with the "Self Balancing Scooter" whose main feature is to do that for you. Every time you move it needs to recalculate everything and give the proper instructions to the motors. So...take it easy and enjoy it. What's the CommuteBoard maximum speed? The maximum speed is a bit higher than 11 Kmh, rider weight and ground will make some differences. Can I go uphill with the CommuteBoard? You will be surprised by the CommuteBoard climbing angle. You can face 20% uphill without any effort. This is thanks to the synergy made by Batteries+Mainboard+Motors+Tires. The maximum angle is also dependent from rider weight and ground condition. Going uphill the power consumption will be higher and the mileage shorter. Can I go downhill with the Powerseed CommuteBoard? Yes. Steepest is the downhill, stronger will be the braking imparted by the software to keep your speed stable and you riding safe. Is the CommuteBoard/Hoverboard easy to use? A high end Hoverboard like the CommuteBoard is incredibly easy. You can learn how to use it in 5 minutes and be skilled user the same day you begin. Just to explain, it is much more easy than learn skating or using a bike for the first time.